Mark was formerly the Chief Auditor and Managing Director responsible for the Internal Audit (IA) Department. 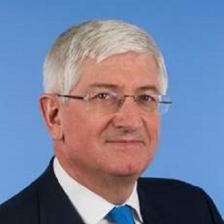 Reporting to the Citigroup Audit Committee Chairman, Mark was responsible for IA’s delivery of audit assurance on governance, risk management and control across Citigroup globally to the Board and Executive Management. Prior to joining Citi, Mark was the Chief Internal Auditor for Barclays Group where he led a major transformation of Barclays Internal Audit. Previously, Mark was Managing Partner responsible for Enterprise-wide Assurance to wholesale financial services institutions at Deloitte (UK), where he was engaged in various assignments involving risk management and internal control transformation, particularly as a result of regulatory requirements. Prior to joining Deloitte, Mark was Managing Partner for Andersen’s global Privatisation and Emerging Markets practice with responsibility for overseeing business activities in over fifty non-OECD countries, while also being the lead partner on a number of financial sector restructuring and individual bank rehabilitation assignments around the world.